Ancestry.com have several folk chasing an ancestor that time-wise just cannot be our William. Nor can his mother possibly be the lady mentioned. After spending hours poring over available registers and short of me just popping over to Ringwood in the UK (not possible I’m afraid). I just don’t have enough information to be able to answer this definitively. As a result I’ve hit a roadblock. Ack. I have tried to put some flesh on the bones of our Sharley/Shirley’s who came to New Zealand, in particular William and Anna. As always Papers Past has been a firm friend in this search. What I have not tried to do (I only write the stories), is recreate the wonderful work that has already been done by many Sharley/Shirley folk me.Therefore I think it is appropriate to publicly acknowledge the work done by the Shirley Association and Roger Shirley’s West Country Shirley Families. I have firmly endeavoured not to plagiarise the work done by these two valuable sources. I have with definitive determination sought to personally verify and validate all leads. This has meant that in many cases where I can’t firmly put a ‘stamp’ on it, I’ve had to leave gaps. Please take some time to go through the Acknowledgements/Reference Page . This takes almost as much time as writing the pages sometimes it seems. However it is absolutely laden with a rich treasure trove of resources to help you in your journey. If my hours spent researching can save you some time in finding valuable sources by all means please do this for yourself. Your eyes will thank you! Likewise it is always rewarding to be able to acknowledge the work of others. So with that I hope you enjoy the stories of our Sharley/Shirley’s! New page, Maria Coverly and William Bidgood. This one has taken me literally months to research so I’m really happy to be able to put up. New Page – Edward Mitchell and Elizabeth Coverley (Bidgood,Badgood, Lord, Mitchell, Overton). If trying to keep a ‘name’ in your head is trying, then Elizabeth will be a real test of your memory. Another chapter for our “Kurrajong” story. I guess it was bound to happen sooner or later. But here is the first time I have found two convicts who came on the same ship who have ended up having their families marry into each other in our connections. 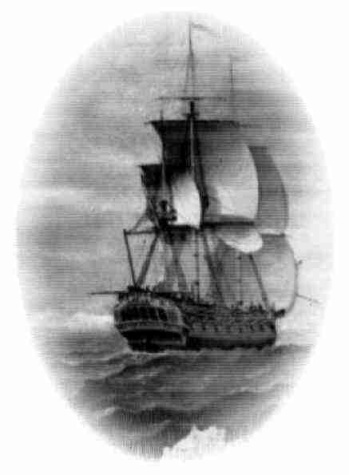 Catherine Latimore who came out on the Wanstead in 1814 also traveled with fellow convict Maria Coverley from England to Port Jackson (Sydney) on the Wanstead. (1)Catherine Latimore would go on and marry John Riley and their daughter (2) Diana Riley married William London. Diana and William had a son (3) William John London. (1) Maria Coverley had a daughter Elizabeth Coverley with William Badgood/Bidgood. (2) Elizabeth married Edward Mitchell and they had a daughter (3)Matilda Ann Mitchell. William John London and Matilda Ann Mitchell married and went on to have a large family of their own. So the Wanstead played quite the role in bringing these two families together.